A complimentary appetizer reception and no-host bar starts at 6 p.m. and at 7:30 p.m. the “Save the Angels” live auction begins. 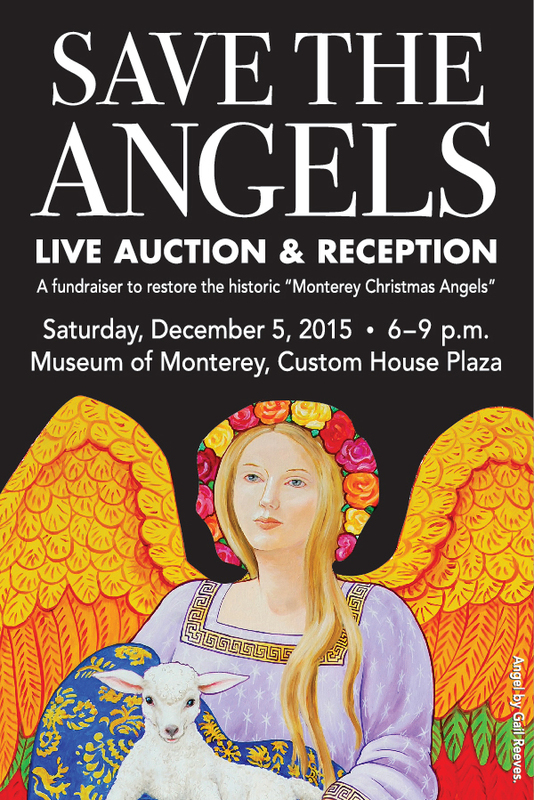 Since 1956 the “Monterey Christmas Angels” have adorned downtown Monterey during the holiday season. 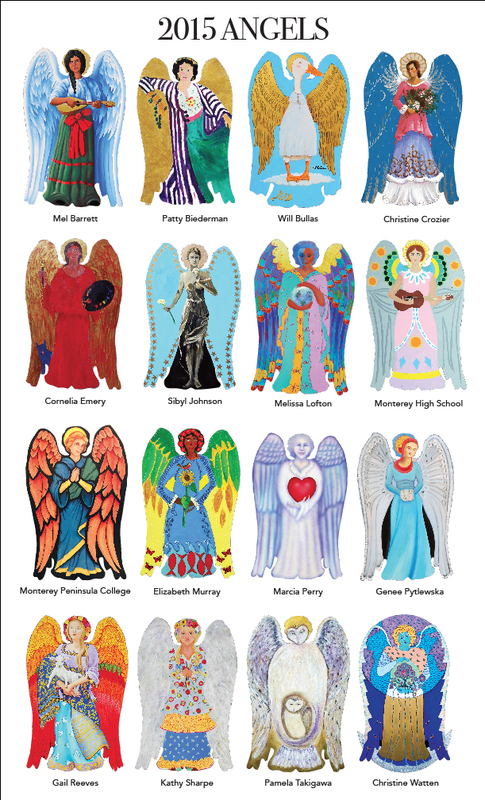 The first generation of 88 angels, commissioned by the City of Monterey in 1956, were painted by then local artist Erica Franke (Haba). Over the years they became tattered and faded and were disposed of in 1971. In 1972, again commissioned by the City of Monterey, Erica painted 40 more angels. Those angels are the same ones that hang today, but after almost 45 years, they are much in need of restoration. The City does not have funds budgeted to accomplish this, so the Old Monterey Foundation and The Colton Hall Museum and Cultural Arts Commission have joined together to raise the funds necessary for restoration. Inspired by the historic Angels, 20 renowned local artists have created new Angels, each six-feet tall, in their own distinct styles that will be auctioned to benefit the restoration. The new Angels can be viewed at local business throughout November and on December 1 they will be on display at the Museum of Monterey in Custom House Plaza. M&S Building Supply for plywood; Seaside High Construction Class for angel fabrication; Mike Tryon, auctioneer; and the angel artists.